This,we are told, is meant to draw a line under the story in a communal ‘move on’ moment. 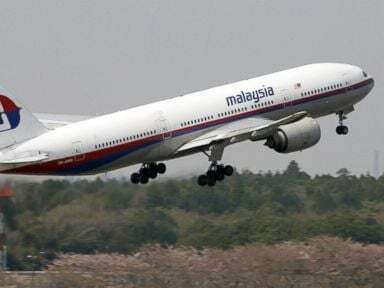 The Malaysian prime minister boldly announced that analysis of satellite data concludes “beyond a doubt” that the plane had in fact gone down in the southern Indian Ocean 2,500 kilometers (1,500) west of Perth, Australia. A few object were said to be found, but these were not shown on TV or to media. “Objects could be picked up in a few hours”, Malaysia’s transport minister said, while Australian PM Tony Abbott said, “One object was circular and grey or green, and the other rectangular and orange – but it could be flotsham“. In reality, nothing. 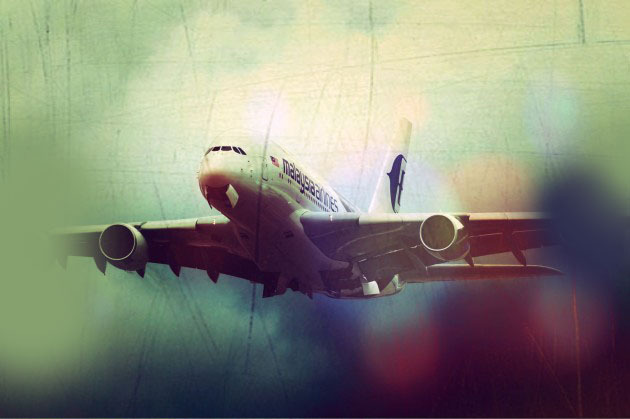 What is clear now – is that there is still no evidence of a Being 777 crash-landing there. Here where things get dicey: this suddenly incredible “debris sighting” has been based on information from one private British telecoms firm, Inmarsat, who run a fleet of 30 satellites globally overlapping with systems run by US-based Raytheon. Inmarsat claim to have come to their conclusion based on data “relayed between the plane and ground station by satellite”. Inmarsat then sent its computer findings on Friday to the UK Air Accident Investigation Branch based in Aldershot, Hampshire, who spent one day “going over the figures” before sending it to the Malaysian authorities. Of all the likely destinations for the missing flight, it seems incredible that would fly for 3 or more hours south, only to ditch the plane in the water miles from any land mass. This latest conclusion is based almost solely on computer modeled data – supplied by Inmarsat, and as yet, no physical proof that Flight MH370 has actually crashed at the location they are claiming it did. “Eyewitnesses from the Kuda Huvadhoo concurred that the aeroplane was travelling North to South-East, towards the Southern tip of the Maldives – Addu. They also noted the incredibly loud noise that the flight made when it flew over the island. “I’ve never seen a jet flying so low over our island before. We’ve seen seaplanes, but I’m sure that this was not one of those. I could even make out the doors on the plane clearly,” said an eyewitness. Coincidentally, The Maldives Islands are more or less along a direct flight path to the US and British island military base at Diego Garcia. Make of that what you will, but you cannot discount this in connection to reports that one of the MH370 pilots has Diego Garcia plotted on his own home flight simulator. Although McInerney went on to reinforce the White House myth that Osama bin Laden was killed in 2011 at his compound in Pakistan, you can’t help but wonder why he was sent onto FOX at the very time that this latest “discovery” has happened. Bill Stills concluded his commentary by warning the this plane may likely end up being be used for some US-sponsored flase flag, or terrorist act in the future. Mainstream media is now being flooded with reports of “grieving families” which the public have only now been given access to, and western media talking points are focusing on victims’ families blaming the Malaysian government for its incompetence in conducting the search and that somehow ‘blood is now on the Malaysian governments’ hands’. 21WIRE detailed some suspicions regarding the passenger lists and talk of key Freescale (Austin, TX based) employees being on the plane, as well as the technical parameters regarding the planes transponder systems and radar detection. In the end, for the government anyway, the whole story has relied exclusively on technical and computer satellite specs in order to illustrate a timeline and possible locations for the missing flight. MEDIA DRAMA: The grieving families and the all important ‘blame game’. Regardless of what is being said and what theories are being kicked around, one can conclude, once again, that the official story of Malaysian Flight MH370 is a complete whitewash already. Isn’t it funny how the biggest plane hunt in human history – over in Asia, is swiftly closed down by a single British company and a British government aviation agency? In March 2012, Al-Jazeera Beirut correspondent Ali Hashim along with two others, resigned over objections over Qatar’s pro-US and UK foreign policy slanted reporting on the conflict, and revealed that Al-Jazeera spent $50,000 for smuggling phones and satellite communication tools to Syria’s rebels. Did Inmarsat provide the sat phones al Jazeera gave to Syrian ‘Rebels’, aiding foreign insurgents in Syria in coordinating terrorist attacks inside that country? Good question. Only a few firms would be positioned to deliver that service, and Inmarsat, according to their own admission anyway, would be at the top of the list. It also has business agreements with Malaysian shipping conglomerate MISC Berhad (MISC), signing its first big deal covering 46 of its vessels, “comprised of chemical and LNG tankers, for Inmarsat’s XpressLink service”.